organisation, O.B. Lulu Briggs Foundation, has commenced a five-day free medical service to the people of Omuma Local Government Area and its environs. 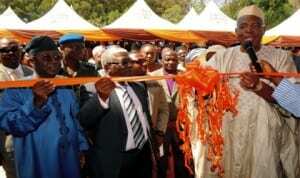 The programme which began at Obiohia Health Centre, last Monday, is expected to end on Friday. The Programme Co-ordinator, Ineba Ideriah told The Tide that the programme was an initiative of Mrs Lulu Briggs to assist communities by providing solution to their health challenges in view of lack of good health facilities in rural areas. She disclosed that the level of mobilisation was high and over 200 patients benefitted from the free medical programme last Monday. 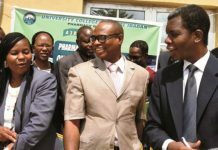 The Omu II of Omuma, HRM Eze Monday Ojiegbe commended the foundation for remembering Omuma in its free medical scheme, saying, the programme was an initiative driven by the spirit of God to assist the people. The royal father noted that the Omuma Council of Chiefs and traditional rulers mobilised all communities in Omuma for the programme. He particularly assured the foundation of adequate security and co-operation. 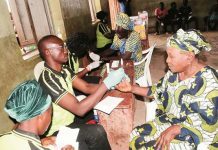 In its on reaction, the United Ladies of Omuma said the initiative is a laudable one and the choice of free medical is novel as health remains the biggest challenge to the people in the local communities. Vice President of the organisation, Mrs Comfort Agonmuo said it sent out circular to all women organisations in the area, Churches, schools and the Chiefs as a strategy of ensuring good mobilisation of the people for the programme. Mrs Agonmuo advised the people of Omuma to take full advantage of the opportunity provided by the health foundation to attend to their health challenges. L-R: Governor Jonah Jang of Plateau, Chairman, Dee-Medical centre, Elder Bulus Dareng and elder statesman, retired Lt.- Gen. Theophilus Danjuma, inaugurating Dee-Medical Dialysis Centre in Jos, recently.